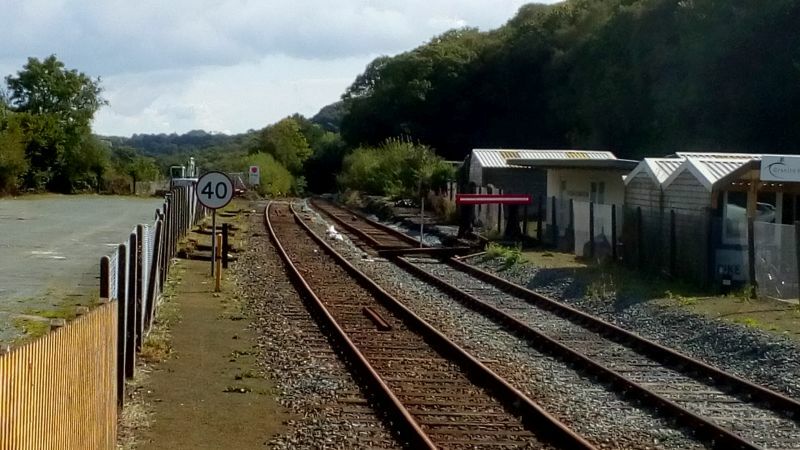 Prompted by security fears after the July 2017 vandal attack on the Polar Express stock at Meldon, work started on a further extension of the platform 2 siding at Okehampton. 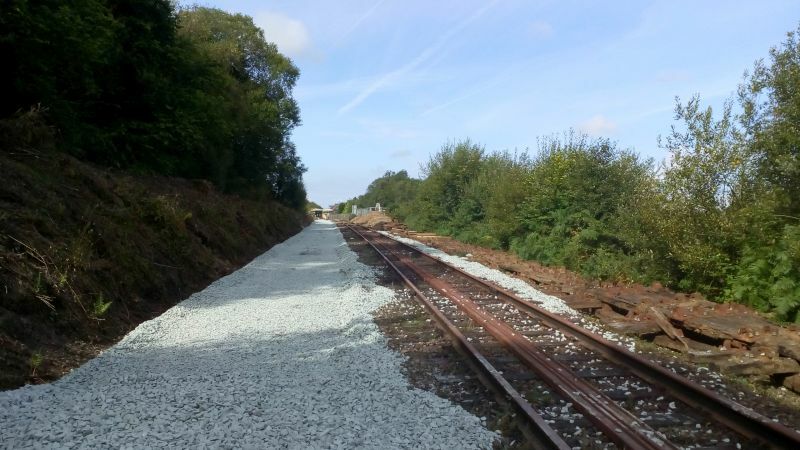 The project added 330 metres of track, roughly on the formation of the former down line, so that the 11 car Polar Express train can now be stabled in safety at Okehampton. 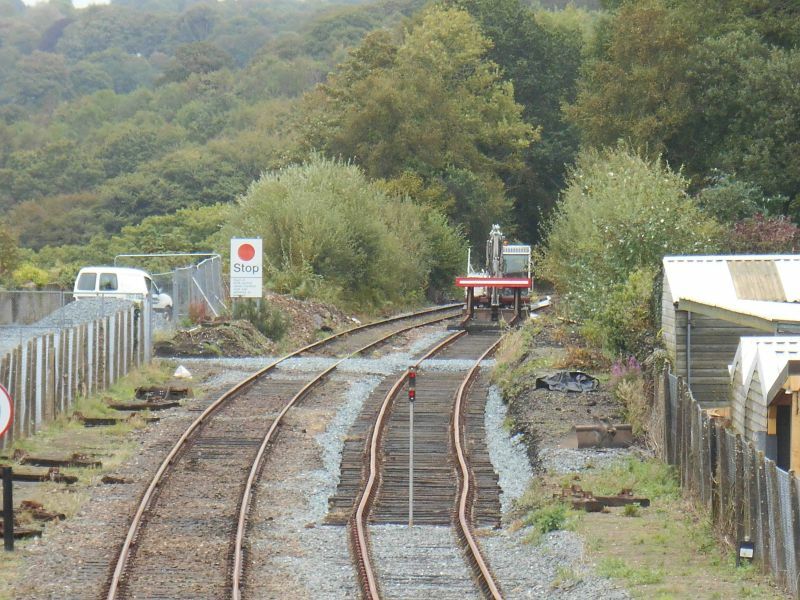 Looking remarkably like a train arriving on the down line, here's the PE stock in the newly extended siding. 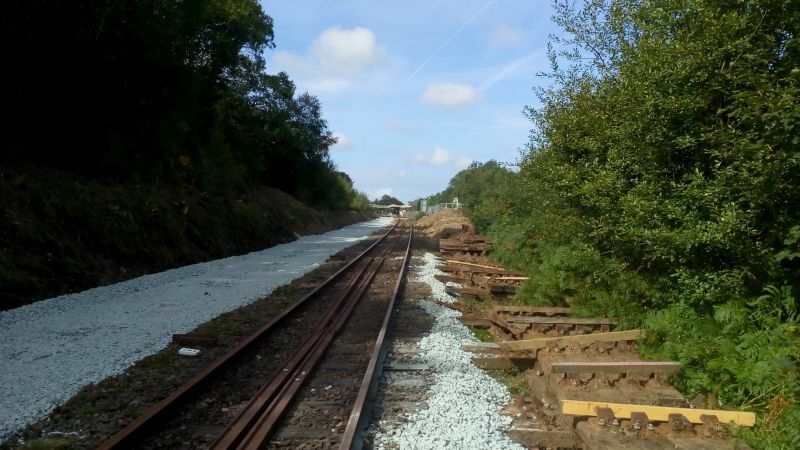 In case you were wondering where the track came from for the siding extension..
Further progress as sleepers are laid. 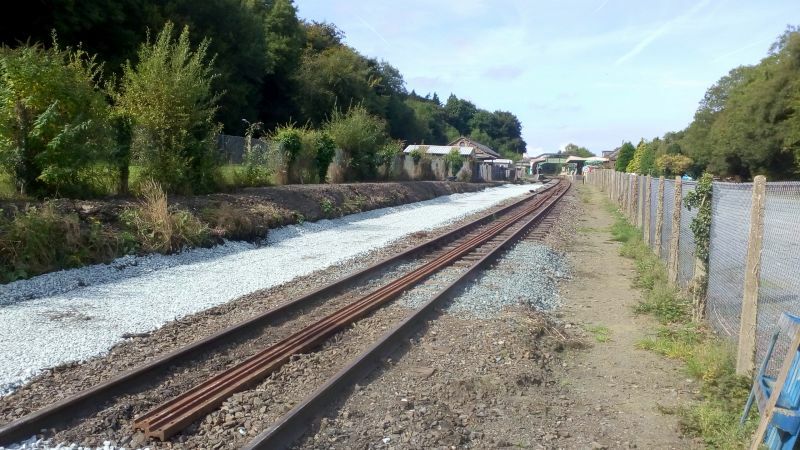 In the last month the trackbed has been cleared, levelled and ballasted. 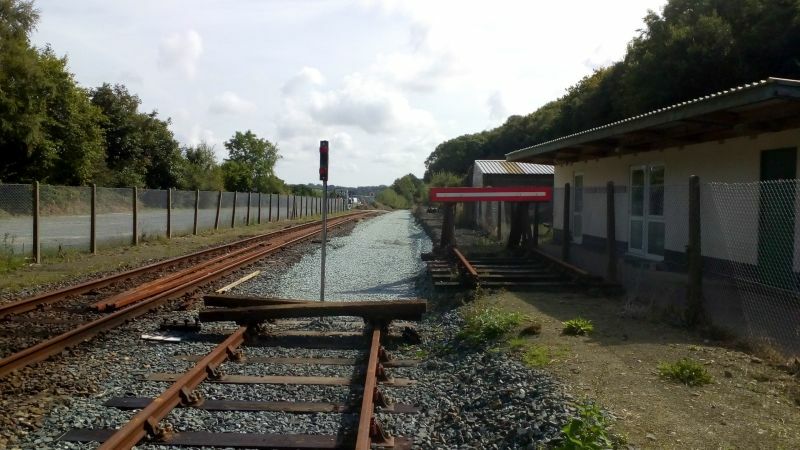 Two redundant sidings at Meldon have been taken up to provide the rails and fittings. 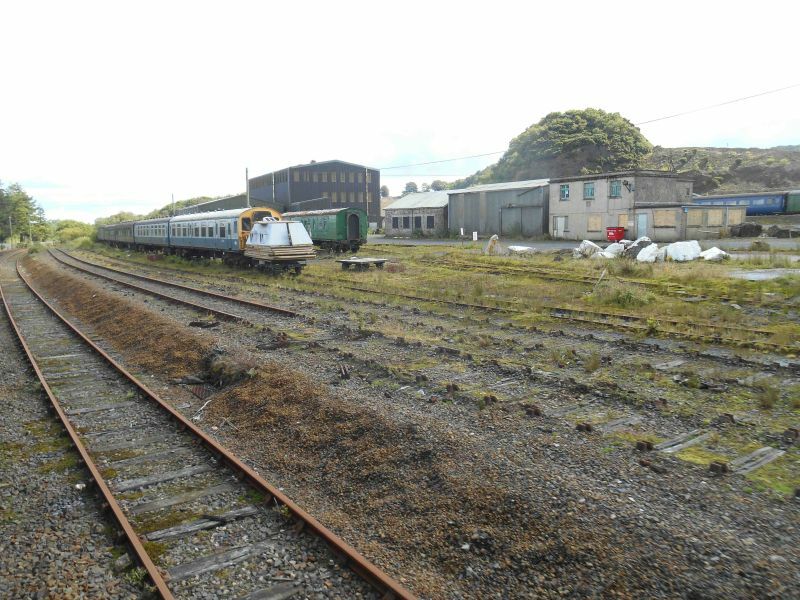 The photos below give an idea of the current state of play, and the length of the siding. 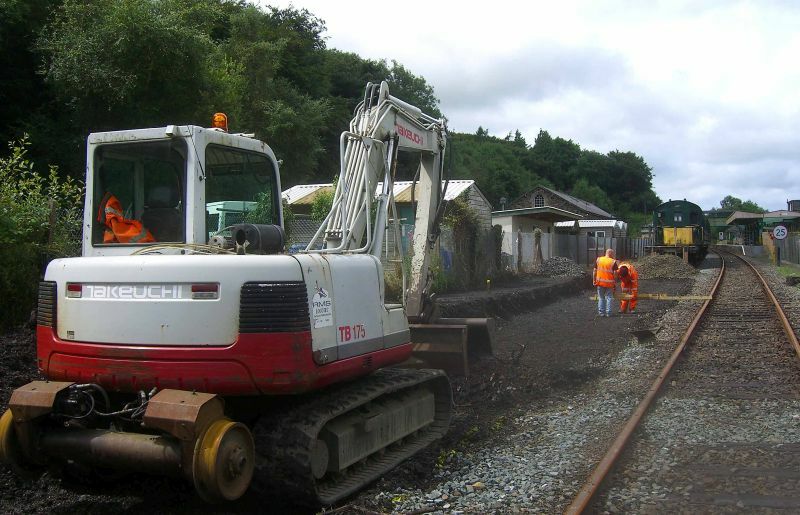 Work under way on the siding extension. 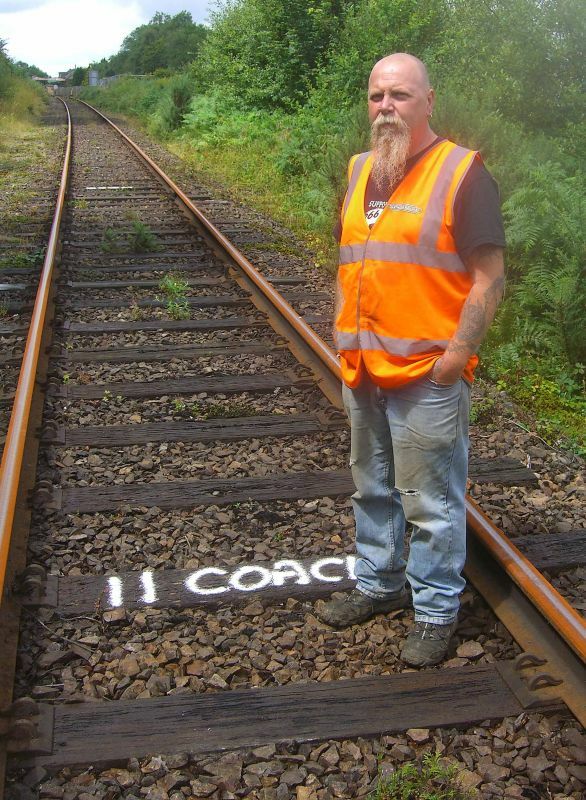 In the background Thumper 1132 is stabled on the track added last year.